This Allergic Traveler just returned from China. We spent time in both Shanghai and Beijing. I must admit I was scared to travel back to Asia. The last time I was over there, in 1998, I lived in Japan. Back then; I struggled a lot with my food allergies. This was probably not for the reasons you may think, which I will get into shortly. Anyway, fourteen years later, I have grown a lot. Allergic Traveler came to fruition, the Epi-pen became readily available and I discovered Benadryl. You see back then, none of these things were in my life and yes I still traveled. I suppose I could blame it on the cockiness of youth or dumb luck but I never traveled with any of these things. At the time, the only thing I had was my medical alert. The Epi-pen was not widely available on the market at that time, and I never even knew about Benadryl. I was raised in a family, where medication was typically the last recourse. I know you may find this hard to believe, coming from a family where multiple allergies exist, but its true. So my medical alert was my only insurance policy. A lot of good that did me me, when it was in English and I was in a Japanese speaking country. I discovered the hard way that you cannot rely on luck or prayers alone. I had many severe allergic reactions while in Japan. Looki ng back, I know that I had an angel looking over me, as I am very lucky to be here. Anyway, this time when I traveled to the orient I was prepared. I had my Allergic Traveler cards, my Epi-pen, my Bendaryl, a suitcase full of food and wisdom, or old age, on my side. And before I get into the details of the trip, let me assure you that I did not have one allergic reaction. This in itself should be considered a small miracle, as MY top allergens are eggs, shellfish, soy, sesame and chicken. All are very prominent in Chinese cuisine. I did not let any of this stop me. I was still going to take this trip and I had to take advantage of this opportunity. Without realizing it, my husband and I fell into a rhythm with regards to our eating habits while we were there. We would have breakfast at the hotel, either in the room or in the hotel restaurant. My husband has no allergies and is very adventurous when it comes to eating. It is a trait I both admire and am perplexed by. Anyway every morning, he would enjoy a Chinese breakfast whereas I would eat some snacks in the room and then have yogurt, cheese and a glass of juice in the restaurant. Lunch would typically consist of him eating off a street vendor and I would munch on my safe snacks that I had packed with me. Dinner would consist of eating in the room or at a restaurant depending on our level of energy! I would venture to say I ate half my suppers in the room and half of them in restaurants. 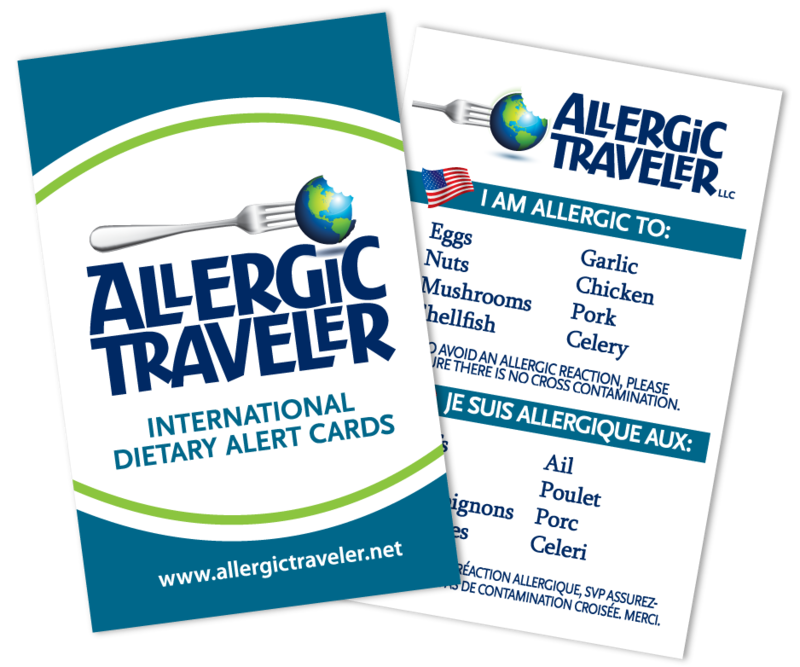 Each time I presented an Allergic Traveler card, it was well received and appreciated. There was so much to take in, during our travels, that I made sure that food was not engulfing all our thoughts. 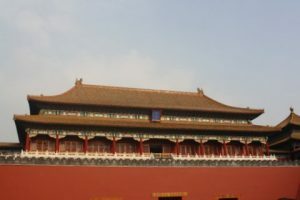 We visited the Great Wall, the Forbidden City, Tiananmen Square, the Bund, the shopping markets, the ZigZag garden and so much more. I am so glad we had this opportunity. It is a trip that will stay with me for a lifetime. I would hate to think that I could have missed this adventure. I feel more enriched for having traveled to China. There are so many things that I learned from this culture from being there and there is so much more for me to learn. I look forward to my next travels to Asia, and I do hope it will not take me another fourteen years to get over there. Oh I found this site too late..for my pal traveling to Asia with her food allergic daughter. She just got back. I have not seen your cards before and I can’t wait to check these out more! I spent some time in China and your photos warmed my heart! Glad you found us! China is very special. I was fortunate to get the opportunity to go. It was an experience of a lifetime.